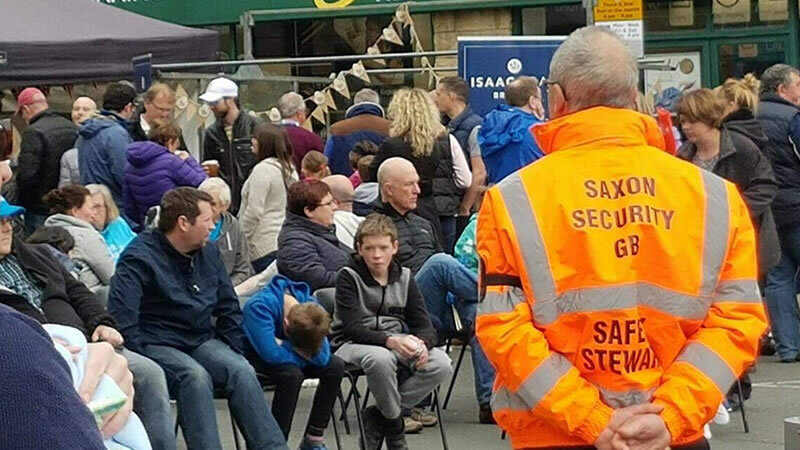 Saxon Security GB ltd have been providing professional and reliable event security in West Yorkshire for more than 10 years. We have offices in Wetherby and Wakefield with staff based all along the M62 corridor. All our staff are enrolled on the NVQ level 2 in spectator safety. The course also involves customer service training. This ensures all members of staff have an understanding of health and safety at events as well as providing customers with outstanding level of customer service. Saxon Security is a family run business with over 50 years’ experience providing security services for events and businesses throughout the UK. We’ve grown from our Yorkshire roots, we pride ourselves on offering and delivering a service that is client specific every time. Our vision is to provide our customers with the most cost-effective solution whilst maintaining consistently high standards of service. We pride ourselves on quality. We have experience in a wide variety of events including sporting events, music festivals, horticultural shows and food exhibitions managing crowds of over 20,000. Saxon Security GB are committed to providing event security in West Yorkshire and look forward to working many more of our fellow Yorkshire men and women.